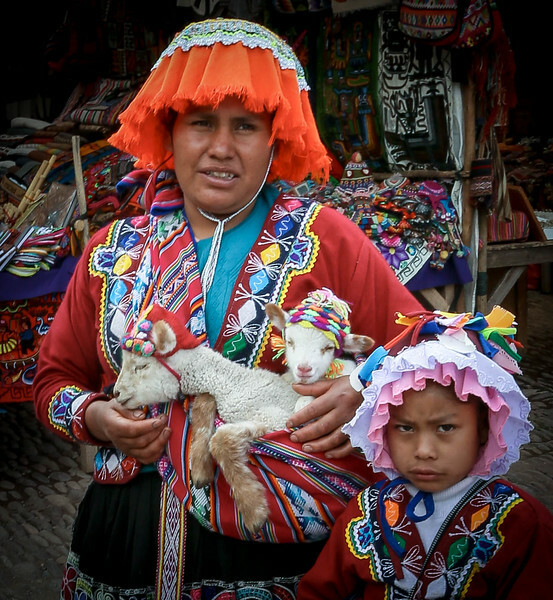 During a recent trip to Peru, 10-10-16, I photographed many interesting places and people. One Sol, about 30c, gets you a photo of mother, daughter and two lambs, with hats! The little girl thinks it should be more! !